The second beta version of Nordenfelt, version 0.14, went online today. If you’ve already redeemed a coupon code, please use the download links in the purchase email you’ve got back then. The links are the same. I’ll send out a new email with install instructions within the next 24 hours. I’m looking forward to your opinions. In the case you (just) want to get informed when the final game is out, consider subscribing to the game’s email newsletter. There’s also @nordenfeltgame you can follow to stay tuned. It’s happening: Nordenfelt will be available on Desura on 9th of July. The release was planned earlier but I made a mistake. 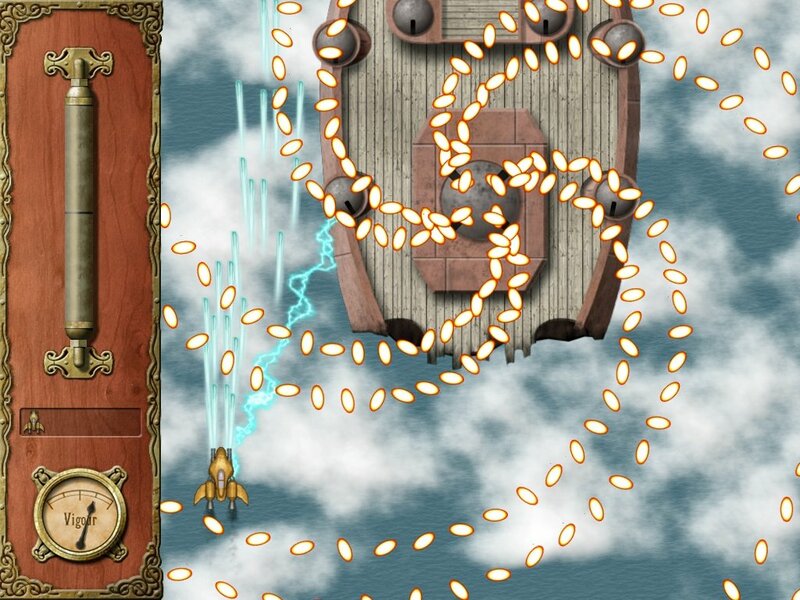 I decided to add a new level boss while the latest version has been in Desura review. As soon as the initial boss draft moved across the screen I felt the urge to include it in the release. So be it. God knows why my rational brain did not intervene: “A new boss? Fella, you know this will delay everything for 3 weeks, don’t you?”. Delay, delay, delay – it happens every once in a while. 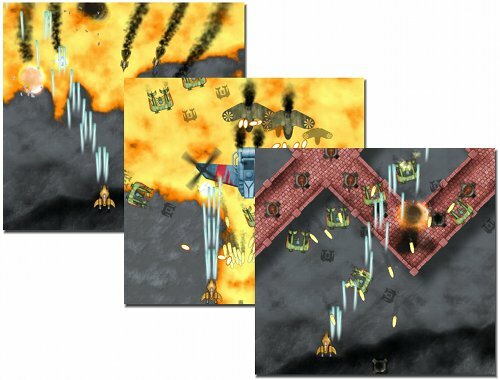 This boss introduced a crucial part in shmup design: scriptable bullet patterns. 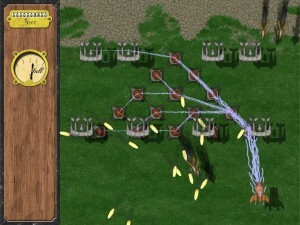 Patterns help players to memorize attack forms and let them come up with canned tactics how to dodge bullets. This unlockable equipment is great when broad swarms of enemies enter the screen. Flashes of electrical discharge span over close neighbors. This way you can blow up whole flocks with less movement. Quite helpful when the screen gets littered with bullets. The tech tree finally gets it’s long outstanding attention, lava is OK but not great and Nordenfelt waits for Desura’s go. The tech tree is a core feature of Nordenfelt. Despite this intention I had to neglect it til now. So just 2 main weapon increments were available for a long time. Simply put, it was empty. 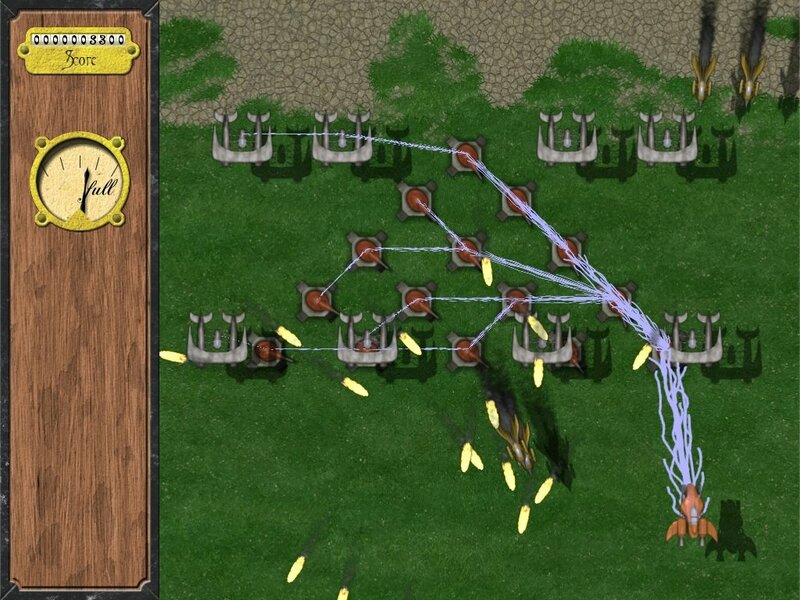 It’s simply a set of shooting bots accompanying the player ship. The next equipment will be something more unique. “Unique” is a bold word because most equipment ideas already got implemented sometime in shmup history. I would need to know all shmups to be sure nothing comparable has ever be done. Nonetheless, the probability is rather low that I’ll reinvent an unknown wheel. Basically it’s important to have a mix of novel and well-known features. Too much new stuff and people get scared off by the “experiment”. Too much well-known and the game gets tagged “old hat”. So the plan is something known, something new, something known, something new, etc. 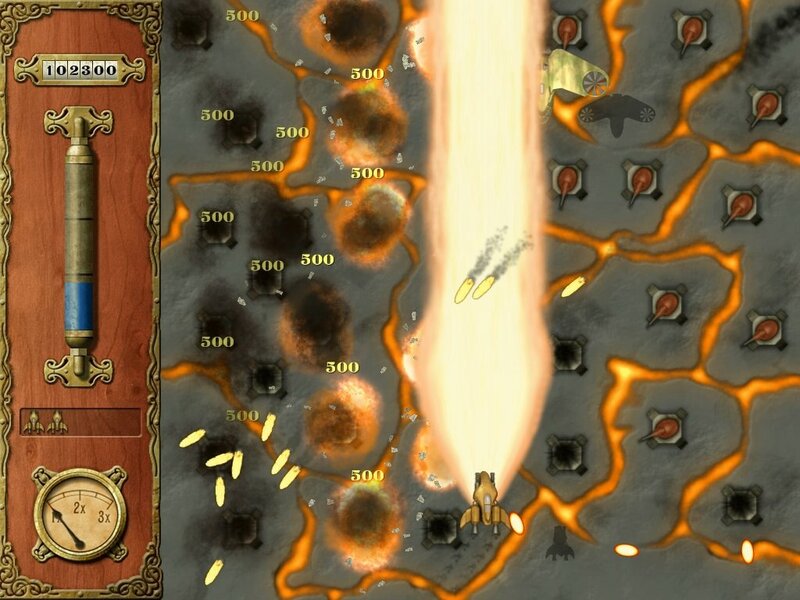 The lava level backgrounds don’t have satisfying quality yet. They serve their purpose and players won’t recognize their blandness as long as enemy hordes enter the screen. Nevertheless I can call them done. They are not as good as I want them but done and releasable. And that’s the only thing I have to know to sleep well at night. P.S. 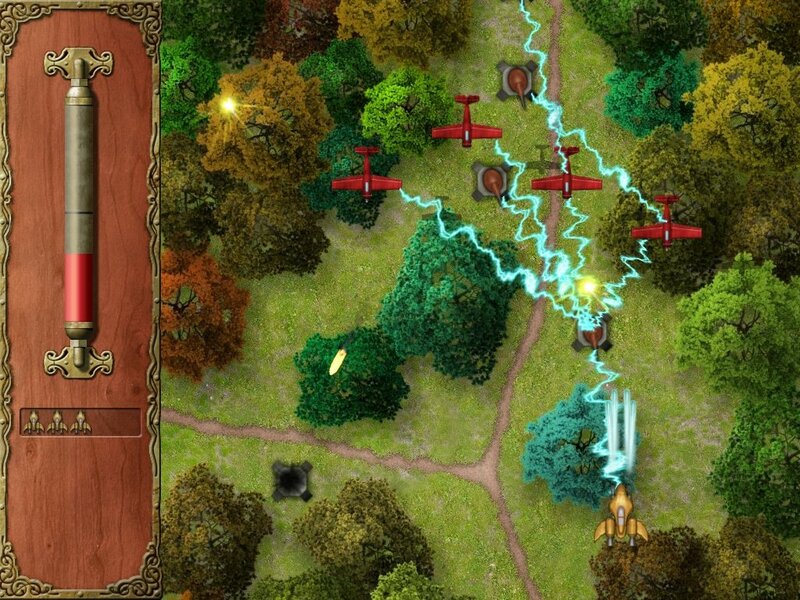 : Get real-time updates via Twitter feed @nordenfeltgame. A few days ago I’ve finished reading 37signals‘ e-book Get Real. It’s a manifesto how to write better software faster. Most of the content reminds me of the mantra-like agile knowledge infiltration in software management during the last decade. You know, Scrum and the like. This may sound a little pejorative but it isn’t. Get Real is an easy read, no pointless chit-chat and full of useful hints to make your programming life easier. 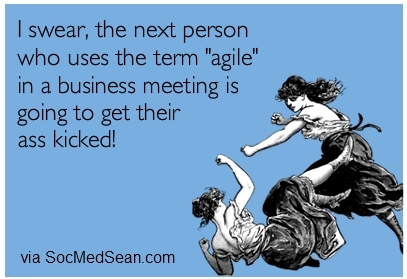 The word “agile” just became a little outworn and buzzy these days. Anyway, this book made me thinking how to translate the “new feature deploy” points from web development to desktop games. When you’re making a website updating is no problem. Changes to the server side immediately change the client side. Installed software OTOH needs the user’s permission for updates. How to implement this as painless as possible? Nordenfelt comes full circle. I’ve revived two features which disappeared from the design documents a year ago: level generator and world map. These two features where part of the canceled adventure mode. This mode was cut due to the pressure of making a living from Nordenfelt. During the last two years just bullet hell shooters were released. At least that’s what my news channels reported. 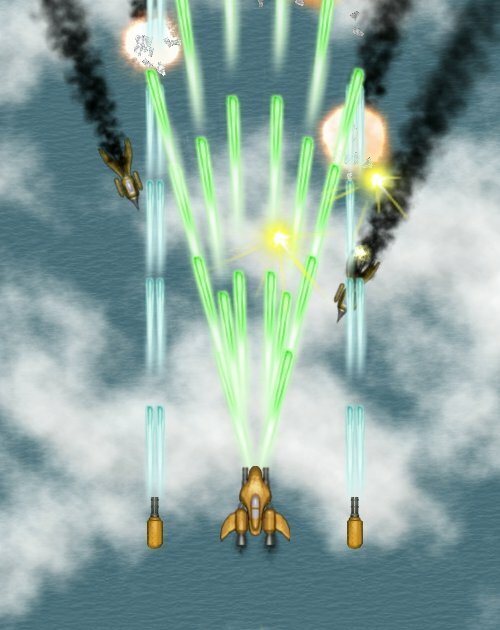 It seemed the market was reduced to this type of shmup. So I tried to adapt Nordenfelt accordingly. Now that I have a steady income again the need for entering this crowded market is gone. Now I can go on experimenting and do things differently. That’s what I like most about making games. Participating in the rat race of faster-higher-stronger sounds like long-term suicide anyway. 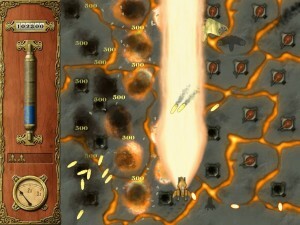 Level design follows rules which should make levels interesting, challenging and fair. An example would be: difficulty has to rise over time. Players get better so the challenges have to get tougher as well. Ideally games should present new mechanics or features to learn after the last one has been mastered. 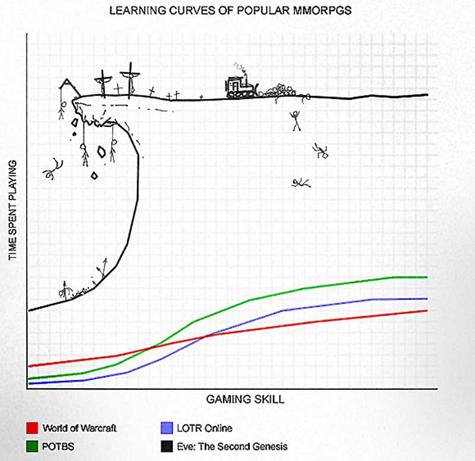 The level designer’s job here is to find out how long it takes the average player to master each skill. Third example: dramatic structures in their usual sequence of intro, crisis development, climax and resolution. Further, simpler rules would be scalar factors like level length, boss strength, bullets per second, powerup density, risk/reward amplification, etc. Finally many tasks in level design, at least formal ones, can be automated. There’s no need to sit down and plan each level from scratch. Nordenfelt’s level generator will serve at least as boilerplate for creating level skeletons. The rest is filling out details by “design intuition”. Time will tell how much level design can be formalized and converted into code. The optimum would be a full-blown, no-intervention generator. That would be cool! 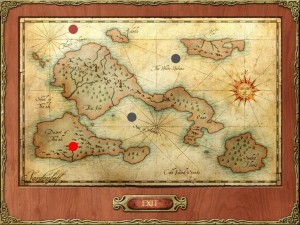 The big dots are test markers for the available levels. I’ll draw proper graphics for them tomorrow. Bad news for Nordenfelt’s feature list: the adventure mode has been cut today. At the moment I’m working on the final version of the first level. Extrapolation of the content creation effort made it obvious that the adventure mode would delay Nordenfelt 1.0 too much. I’m going to finish the game first and maybe add the adventure mode later. It depends on how well Nordenfelt will be received and if the adventure mode fits into the game at all. This old photo gave me the inspiration for a weapon covering nearby enemies with huge electric discharges. 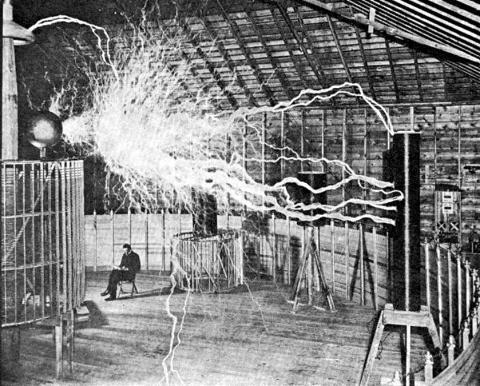 It shows Nikola Tesla‘s magnifying transmitter generating millions of volts sizzling through the air. Man, that rocks! This weapon has the advantage of spreading damage over a wide area. A drawback is the need for recharge. Destroyed enemies can drop charge items which have to be collected like weapon upgrades. So the weapon has to be used tactically to get the most out of it. I hope to find the time polishing the graphics up to the procedural level I have in mind. Then Nordenfelt can provide some wowing moments.